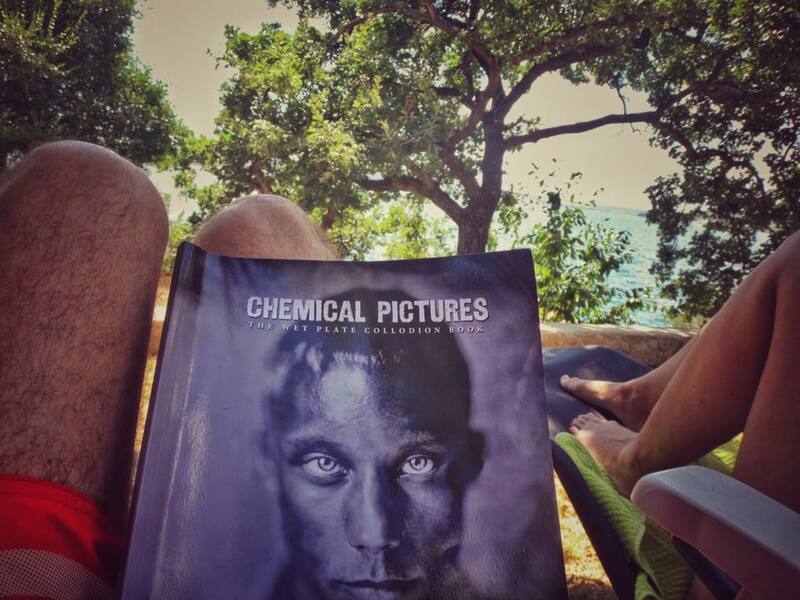 During our vacation I finally read Quinn Jacobson’s ( http://studioq.com/ ) book “Chemical Pictures”. In the book are all the CAS numbers, so I thought the ordering should be pretty easy. I ordered all the chemical stuff at a local store and figured out at home (with the help from Quinn) that they gave me the wrong ether. 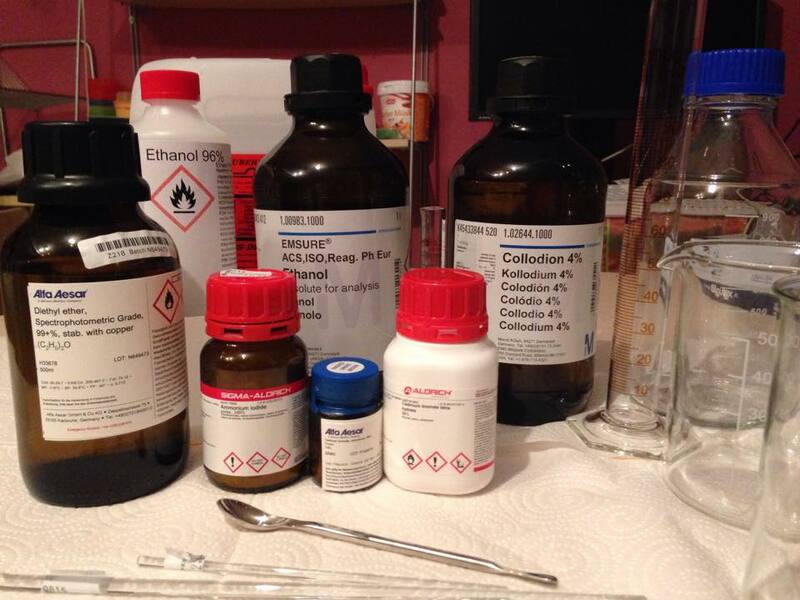 Somehow I was lucky not to use this ether, because it would have ruined my first batch of Collodion. I finished the iodizer and was again disappointed, because it had the wrong color. Again with Quinn’s help we figured that the ether was again the wrong one….even I ordered it with the right CAS number there were differences in the stabilizer. 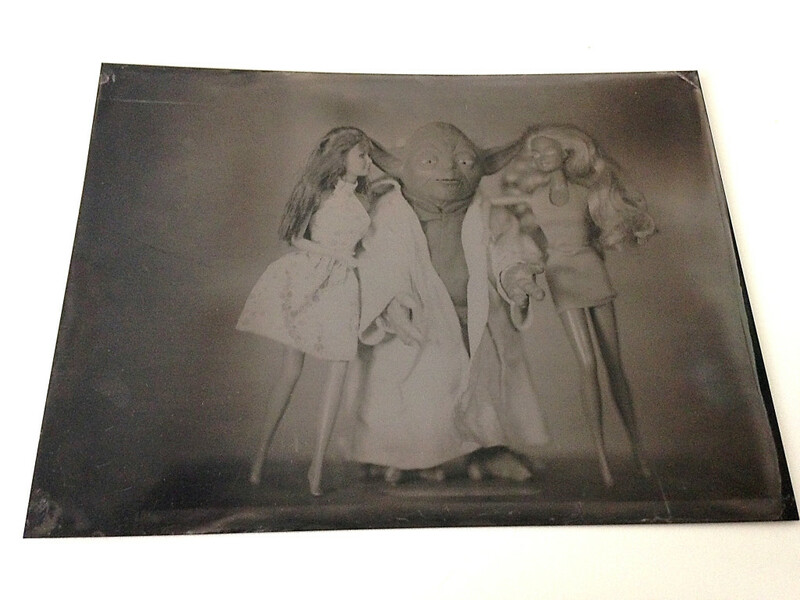 Because I mixed everything already, I gave it a shot to do my first plate with my self-made Collodion. The Collodion was dark red, normally that is a sign of an old Chemical what means it is less light sensitive. I turned my strobes to maximum power (2500 ws) and fired them closely to my subjects. Back in the dark room, I poured the developer on the plate and was expecting to see the mid tones after about 10 to 15 seconds. Surprisingly I had to stop the development after 3 seconds, because I totally overexposed the plate with my strobe power. Anyway I ordered now the right ether (again with Quinn’s help) and will do the rest of my batch with the right ingredients, to be sure it will last as long as it is described in the book. At this point I want to thank Quinn a lot for taking his time to answer all my emails!! 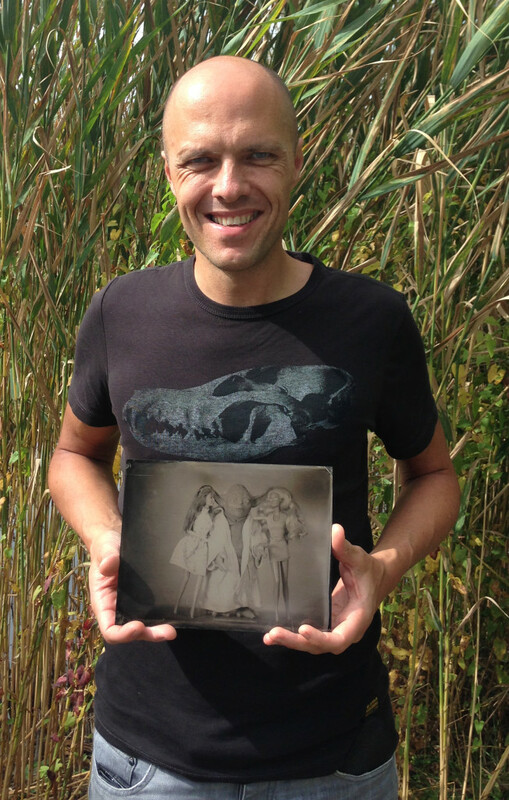 Here is my first plate (18x23cm) with the “red” Collodion.